HyperHistory is an expanding scientific project presenting 3,000 years of world history with an interactive combination of lifelines, timelines, and maps. 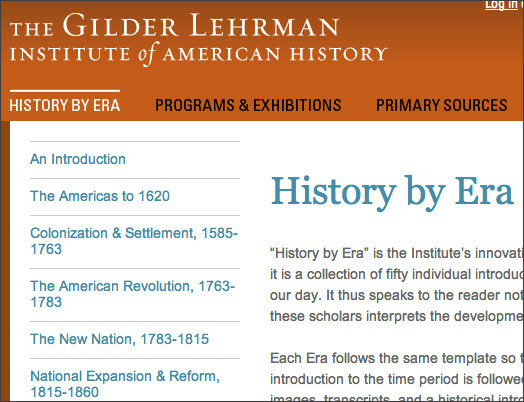 Digital History - A valuable resource for those who seek information on U.S. history with an extensive audio-visual archive and an up-to-date textbook, essays on film, private life, and science and technology, and visual histories about Lincoln's America and America's Reconstruction, also includes primary sources such as gravestones, historical advertising, and letters to give a more vivid picture of American History. 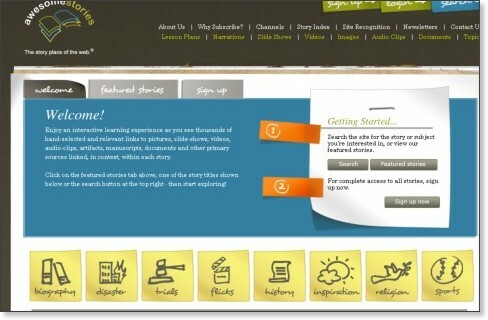 The site also includes numerous reference materials including lesson plans and resource guides. If you have a question you and you can't find the answer, there is a feature that allows you to pose questions to professional historians. The site is enjoyable even if you don't have to research. 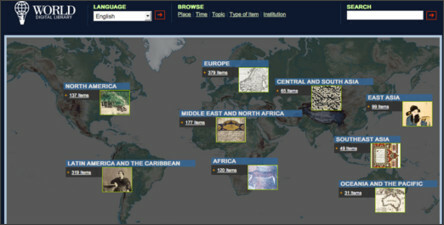 Center for History and New Media – "Providing free access to primary sources, building high-quality online teaching modules, and offering instruction on critical thinking skills"
GIS for History – "The goal of the project is to create and share history curriculum materials and lesson plans using historical census data and primary source on-line documents, within a web-based GIS." Ease History - "Learn about US History through the prism of US presidential campaign ads, better understand the complexities of campaign issues and their historical context by looking at historical events, and explore the meanings of core values by examining how these values have been applied in both historical events and campaign ads." Conversations with History - Distinguished men and women from all over the world talk about their lives and their work. " Teacher Oz's Kingdom of History - amazingly comprehensive site that links to excellent history resources from Ancient to 20th century U.S. This is a great site! It is very easy to understand and to navigate around for interesting information. Romans.net - This is a good place to get information about culture. Mr. Dowling’s Ancient Rome page – menu for topics is on the right side at the top. Beware of the ads, but this is still a good site. OpenCongress Wiki - "The OpenCongress Wiki is a collaboratively written "citizens' encyclopedia on Congress," designed to shine more light on the workings of the U.S. Congress." Ben's Guide to Government – Ben's Guide provides information and activities specifically tailored for educators, parents, and students in K-12. 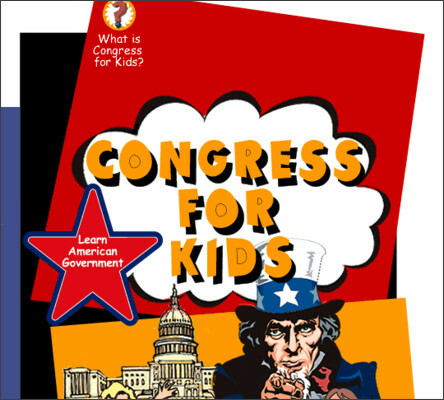 These resources can help teach about our government and how it works. WayBack: Presidents - "the secret history"
**U.S. Government Manual** - provides comprehensive information on the agencies of the legislative, judicial, and executive branches as well as semi-official agencies, international organizations in which the United States participates, and boards, commissions, and committees, also includes the basics of U.S. governmental documents: the Declaration of Independence and the Constitution. Primary sources are artifacts from history such as images, videos, sound files, documents, interviews and other records from events and periods of time. These sites that provide access for this type of media hold sometimes millions of pieces. If you want students to utilize these resources, find relevant collections and/or pieces and provide students with those specific links. Searching through these collections can be overwhelming for students. 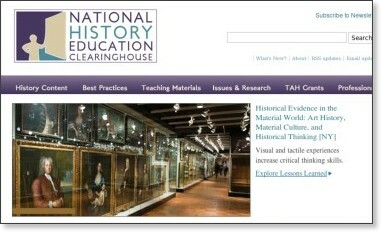 EASE History - Over 600 videos and photographs are currently available in EASE History. EarthCam - Links to webcams across the globe. Google Translator - You'll definitely need this if you are reading a newspaper from another country! Current Events and News Websites from the U.S. Independent Lens presents a selection of Web-exclusive content inspired by independent film. World Almanac for Kids - Check out the "Explore" link first! This is a great resource for children to find brief, factual information about almost everything relating to government, history, science, and just cool stuff!